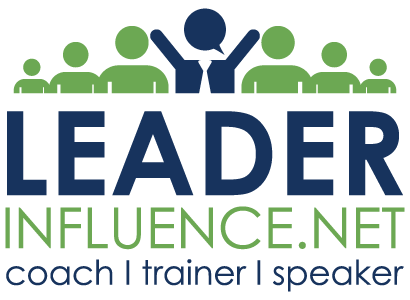 A practical and relevant blog for those who want to increase their influence and ultimately their leadership. With a new job comes the need to re-balance the commitment to work with the commitment to life. That takes a lot of effort. Let's face it, a new job not only takes a lot of effort to build relationships, learn the job and become familiar with the organization, but it creates a desire to make a great first impression. Each one of us has a unique personality style. Sure, we can put people in "personality" buckets, but that only helps to identify our approach. As leaders, we must know our coworkers and ourselves well enough to understand what motivates them and how they react to different situations. A leader’s greatest challenge and most difficult task, is self-leadership. If you lead yourself correctly, you will influence others and they will follow. Failure to manage your self-leadership will create a loss of respect and the inability to influence, causing people to leave and follow others. As a leader, one of the most frustrating things is to have someone on my team not take the initiative to make things happen. Instead they sit back and wait for direction, or constantly need my approval that their path or ideas are right. John C. Maxwell said; "People naturally see themselves in the light of their intentions, but they measure others according to their actions." Man that was me. I use to avoid conflict all cost. Hmmmm, that's probably not entirely true. I think it would be more accurate to say, that I use to instigate conflict when I could. Overall, I HATE CONFLICT! Can't we all just get along? Those who influence the influencers, are those who influence those who have influence. In other words, to lead leaders, you must influence those who lead others. Do what you do well and lead those you lead with conviction and passion and you will find yourself leading leaders. "Effective leaders keep one eye one the compass and one eye on the clock." Commit to more focus in 2017 and become a more efficient and effective leader. I recently published a blog titled, "8 Personal Habits That Will Ensure A Good First Impression." Number 8 on that list was "Initiate Relevant Small Talk". I discuss the need for relevant small talk and how it can create a connection and lead to building a relationship. Effective small talk can provide clues in providing a deeper understanding of that person. Making a good impression is simply using common sense and being intuitively aware of the situation you are in. Develop these 8 habits and use them next time you meet someone for the first time. It could be a life-changing event. Expectations are a part of life. There are just certain things people expect from us and we expect from others. Meeting expectations is what everyone strives for. But, why be like everyone else? If you can exceed expectations, you can separate yourself from others and standout from the crowd.